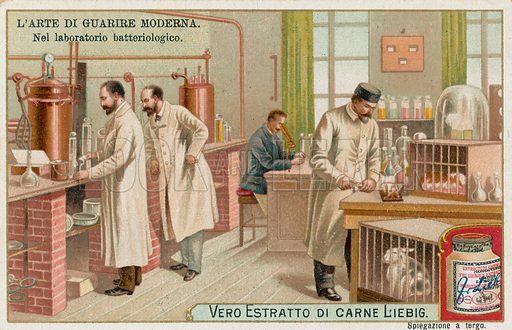 The first picture shows a laboratory for medical research into bacteria. 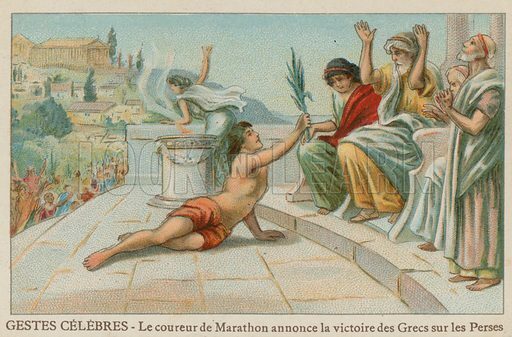 The second picture shows Pheidippides bringing news of the victory of the Greeks over the Persians at the Battle of Marathon. 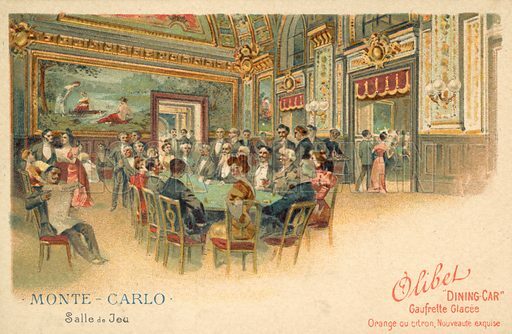 The third picture shows a Gaming room at Monte Carlo. 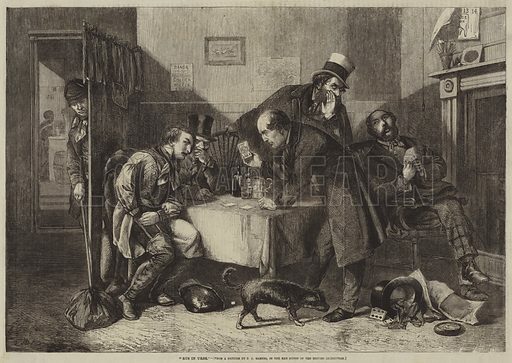 The first picture shows an anxious gamester with his creditors at the door. 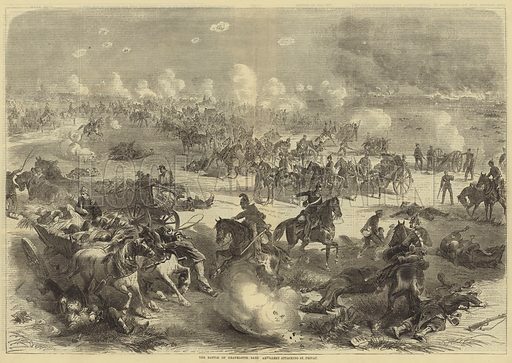 The second picture shows the Battle of Gravelotte. 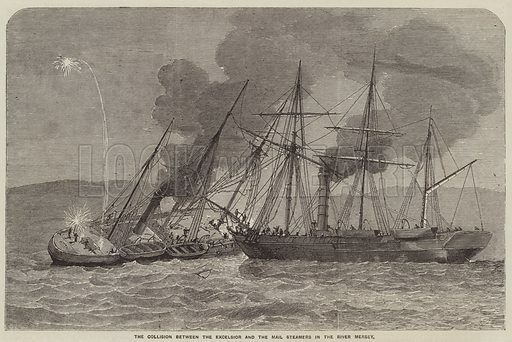 The third picture shows the Collision between the Excelsior and the Mail Steamers in the River Mersey. 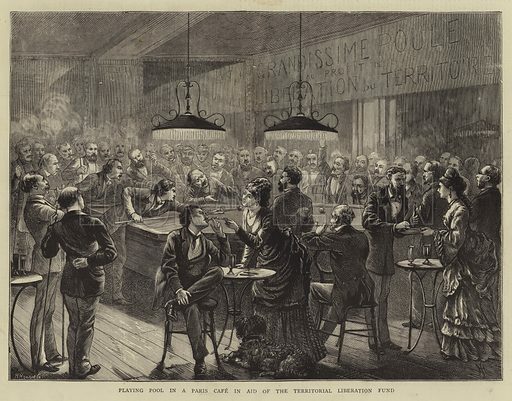 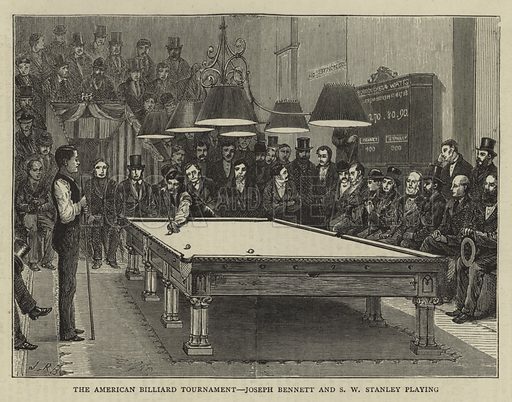 The first picture shows pool players in a Paris Cafe. 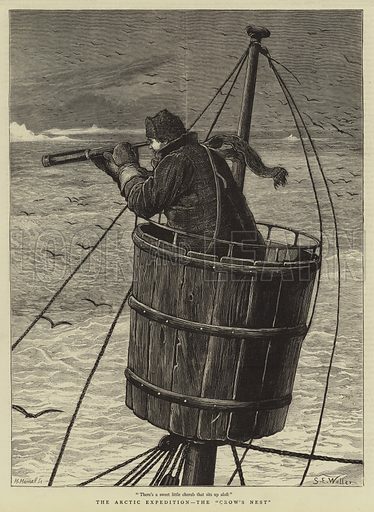 The second picture shows the crow’s nest on the Arctic Expedition’s ship. 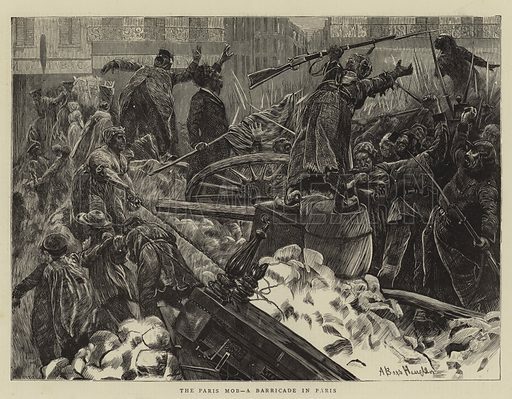 The third picture shows Parisians at a barricade. 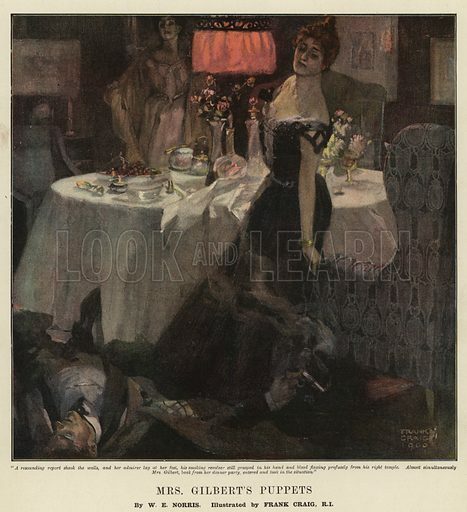 The first picture shows a woman shooting her admirer. 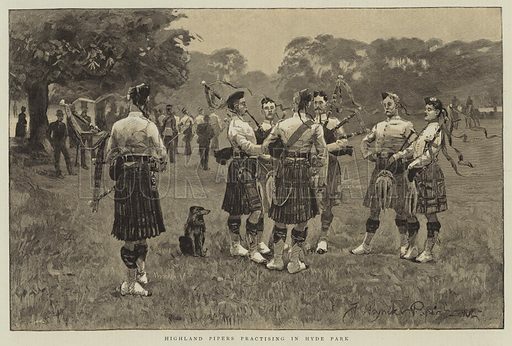 The second picture shows Highland Pipers practising in Hyde Park. 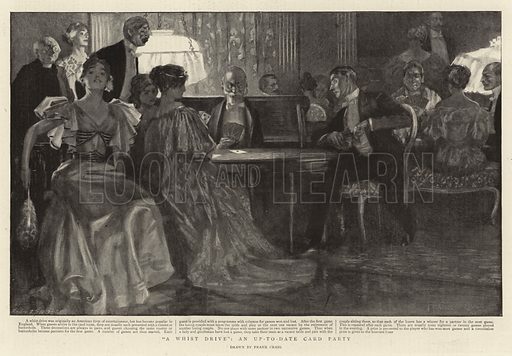 The third picture shows a whist drive. 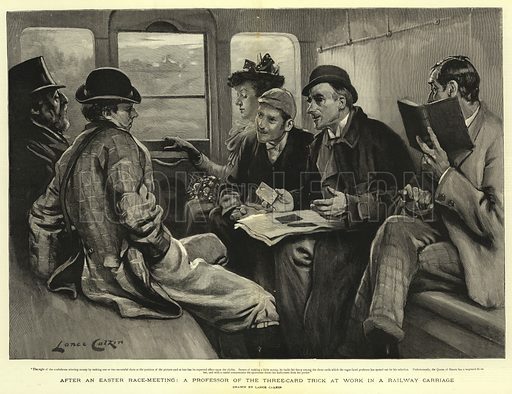 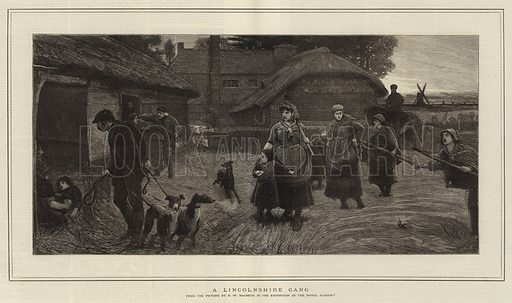 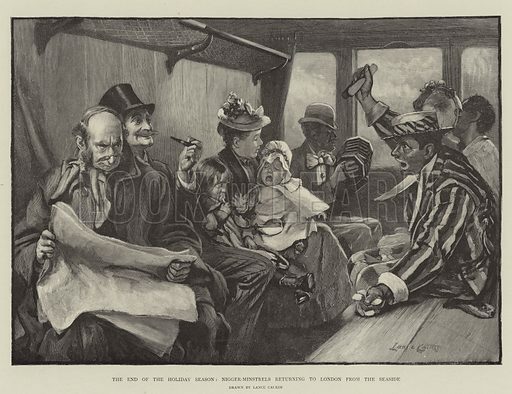 The first picture shows the end of the holiday season as Minstrels return to London from the Seaside. 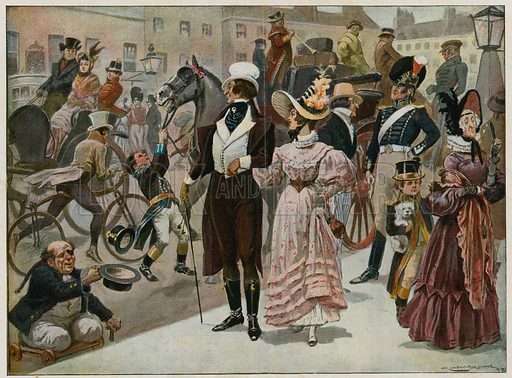 The second picture shows a colourful impression of London in 1800. 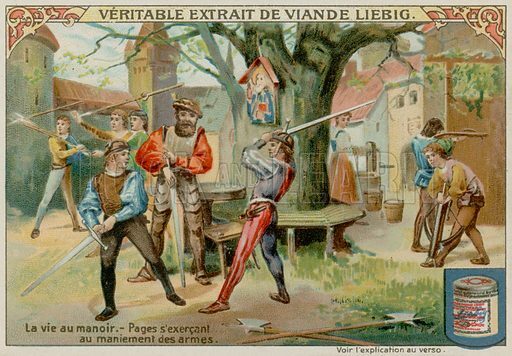 The third picture shows a three-card trickster. 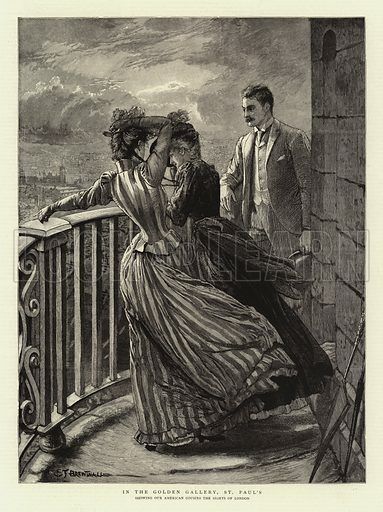 The first picture shows the Golden Gallery at St Paul’s, 528 steps up and 85 metres from the cathedral floor. 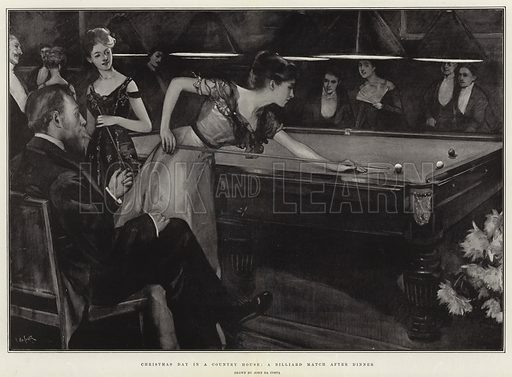 The second picture shows ladies playing billiards. 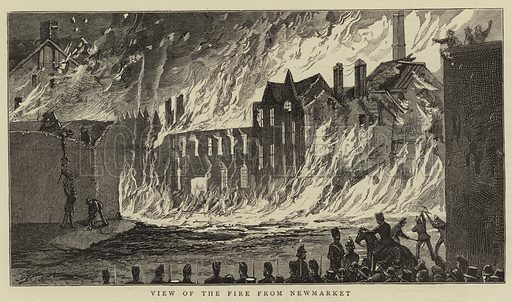 The third picture shows the 1875 Liberties Whiskey Fire in Dublin. 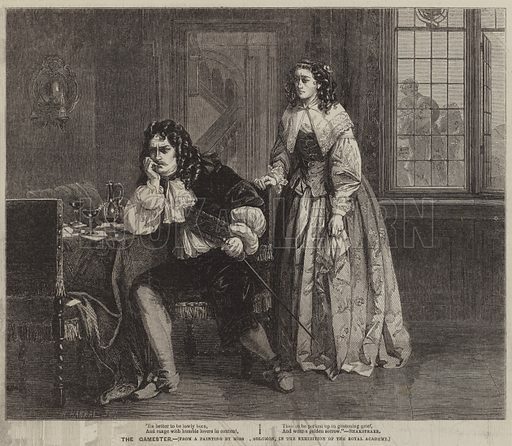 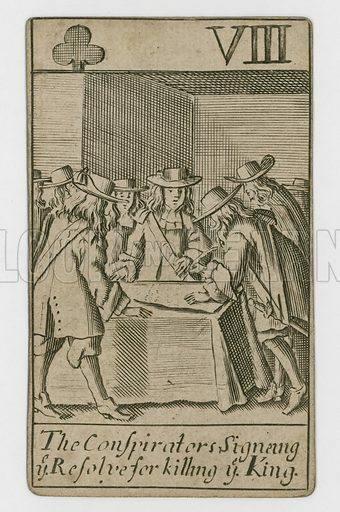 The best pictures of the Popish Plot propaganda are images drawn for a set of 52 playing cards telling the sensational story of the fictitious Catholic conspiracy to kill Charles II. 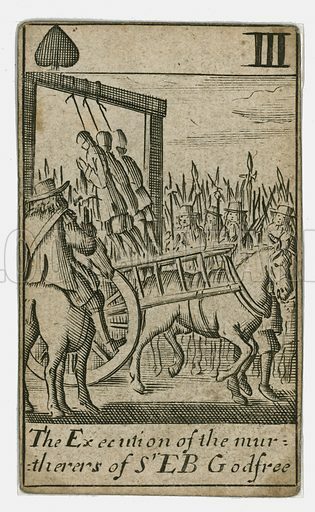 The first picture shows the III of Spades depicting the execution of Sir Edmund Berry Godfrey’s Jesuit murderers. 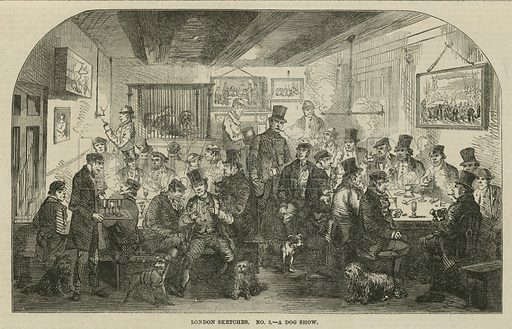 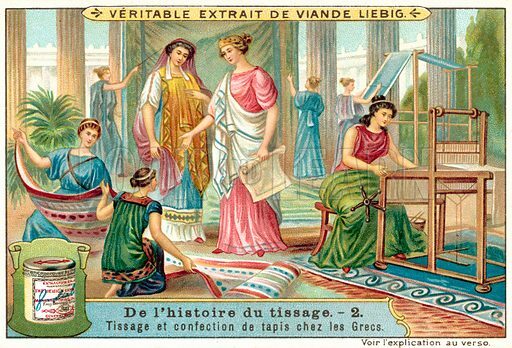 The second picture shows the VIII of Clubs depicting the conspirators. 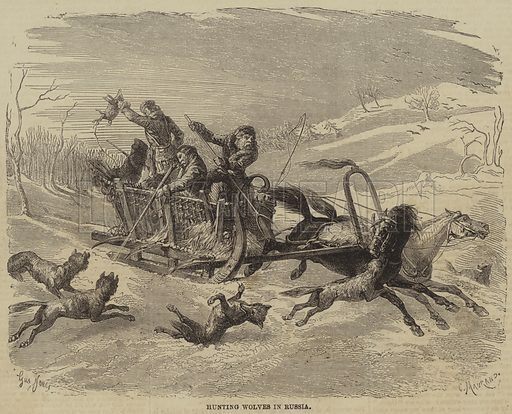 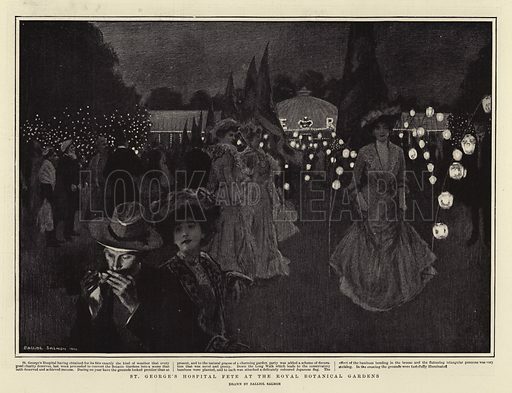 The third picture shows the Knave of Diamonds depicting Pickering hiding in St James’s Park to kill the King. 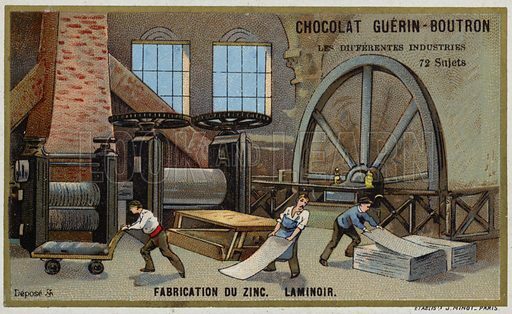 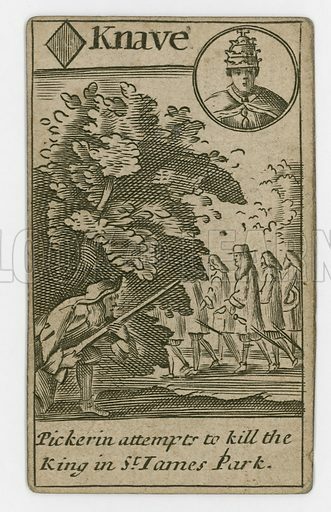 Many more pictures of Popish Plot playing cards can be found at the Look and Learn picture library.